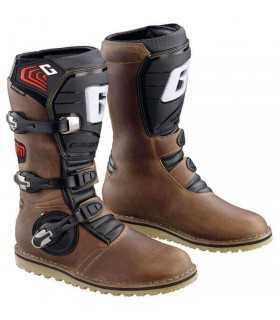 GAERNE MX BOOTS. LIGHTWEIGHT DESIGN WITH SLEEK NEW LIGHT-ALLOY BUCKLE SYSTEM, MADE IN OUR VERY OWN ITALIAN FACTORY THIS BOOT WILL PERFORM. GAERNE MX BOOTS. LIGHTWEIGHT DESIGN WITH SLEEK NEW LIGHT-ALLOY BUCKLE SYSTEM, MADE IN OUR VERY OWN ITALIAN FACTORY THIS BOOT WILL PERFORM. ON THE TRACK OR ON THE TRAILS YOU WILL ENJOY THE COMFORTABLE GX1. NOW AVAILABLE ALSO WITH NEW MOLDED WELT SOLE FOR LIGHTWEIGHT FEEL.